Not pretty, so far I did a quick block sand to knock loose any paint chips, and now I get to the part where I need help. 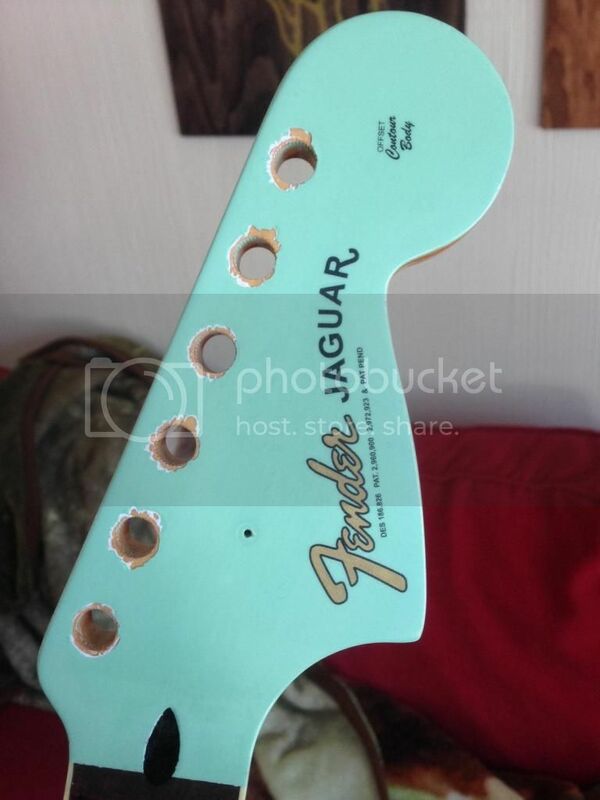 In Canada, we don't have reranch, which means I have to find a similar paint colour to touch up the tuners issues. After that, I am going to re-clear the top, and *maybe* try to find some bushing washers that can cover up any remaining scars. 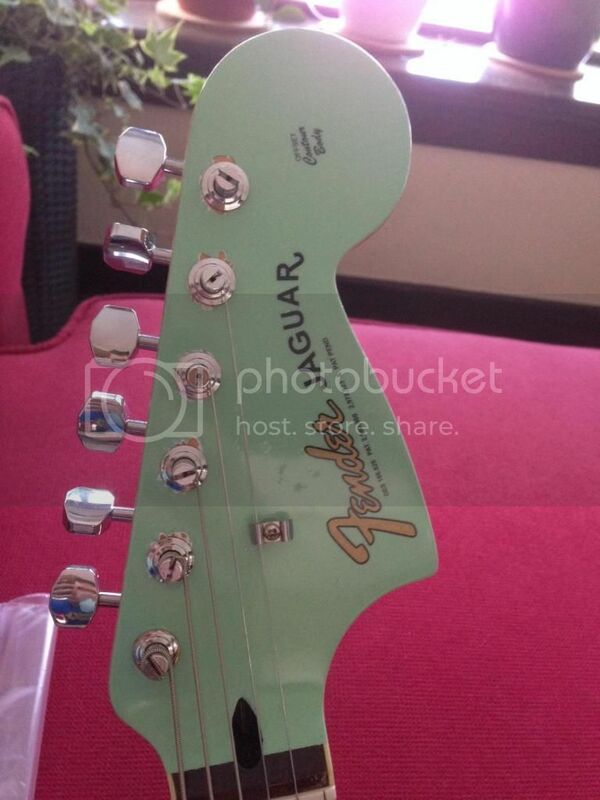 Thoughts, opinions, and tips are more than welcome on technique, or possible bushings/washers that can make this neck look great again. Post it back to Cooter and enclose a napkin with a ";(" drawn on it in crayon, along with however many dollar-e-doos it costs. Find some little chrome washers that fit the bushings and cover the chips. Maybe able to find something like that at an auto part store for engine dress up. Other than that, go to a hobby shop and see if they have some model paint that is close, or even go to a paint place and see if they can mix you up something close. Them wounds are in the wrong spot for guitar mojo. Well there are a tone of body shops around, so worst case I can get a sample size and just use that to fill the area. I looked up model car paint from testors and couldn't find a match unfortunately. Vintage vibe. A lot of old necks get that treatment. What color is that�IBM? It seems to vary. How close is Montana? You may find aerosol, but mixing is tough. Is nitro?